Our clinic was established with the sole goal of relieving, reducing and eliminating pain and underlying health problems that prevent people from leading full, productive and happy lives. Utilising the latest techniques and more traditional healing methods, registered osteopath Noel Adams will work with you from initial assessment through to the implementation of a tailored plan that detects, treats and prevents problems by the skilled manipulation of muscles and joints. Every day we help people overcome back, neck, hip, shoulder or wrist pain, slipped discs, sciatica or RSI, arthritis, sports injuries and maternity-related pain, to name just some of the most common problems. 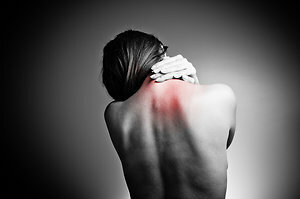 If you are unsure if osteopathic treatment can help you, we offer a free 15 minute assessment without obligation. Click here to book online. Serving communities throughout Buckinghamshire, Berkshire and Oxfordshire, Bodywise Osteopathy operates from a private clinic in Little Chalfont near Amersham and Chesham. Contact Noel Adams on 07973 635017 or via email [email protected] Click here to book online.